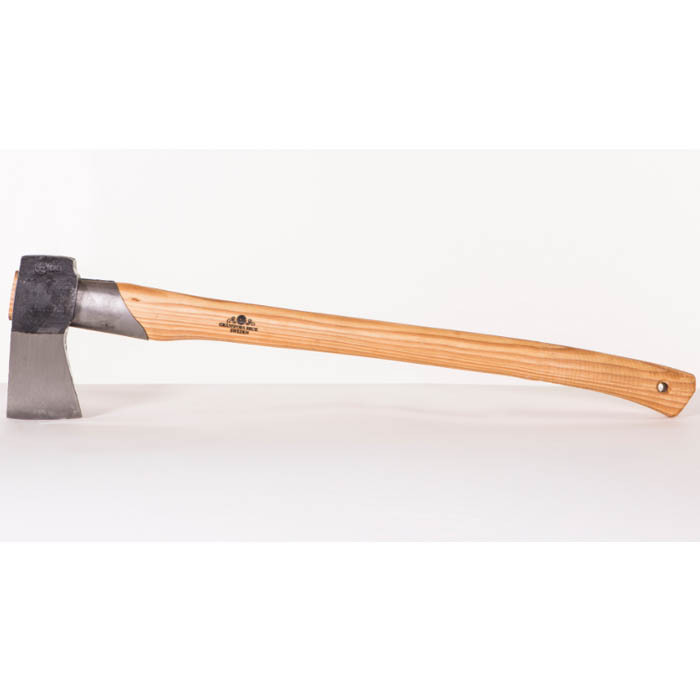 The Gränsfors Large Splitting Axe can be used for splitting all types of firewood. It is forged and ground to a concave, quite thin blade at the bit. The axe cuts quickly and easily into the wood and then effectively splits it as the broader section pushes apart the wood. The handle has a protective steel collar below the axe head and circular grooves towards the end for an extra firm grip. Splitting Axes should not be used for striking a wedge or as a wedge. Only the Splitting Maul is designed for this. The face is 3 1/2 ".